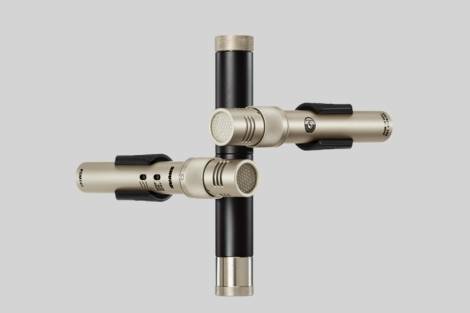 Dual pattern instrument microphone offers transition between cardioid and omnidirectional patterns and features extended frequency response, pad for handling SPLs, a gold-layered Mylar diaphragm, and a subsonic filter for low frequency rumble. What are the KSM141's main features? 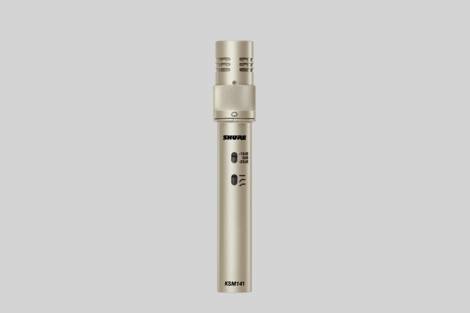 The KSM141 is a dual-pattern end-addressed condenser microphone with a rotating collar, allowing easy switching between a consistent cardioid or true omnidirectional polar pattern for smooth and extremely focused sound reproduction. Designed for studio use, yet rugged enough for live applications, the KSM141 can withstand extremely high sound pressure levels (SPL). Its low self-noise and extended frequency response make it ideal for recording musical instruments. What characteristics can I expect when using a KSM141? 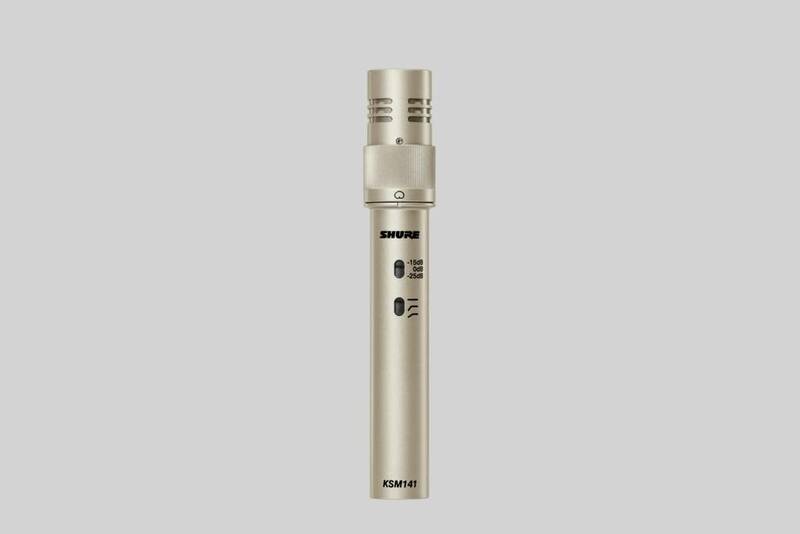 The KSM141 microphone can withstand extremely high sound pressure levels (SPL). It has a high output level, low self noise and reproduces low frequency sounds exceptionally well. With a switchable polar pattern (omni & cardioid) and three-position switchable pad (0 dB, 15 dB, and 25 dB) the KSM141 is extremely versatile and can be used in studio or live settings.